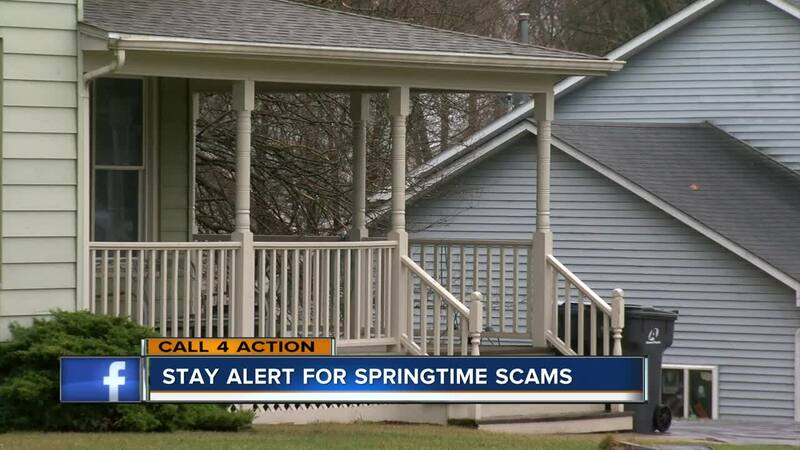 Karen Stiles from Call 4 Action joined TODAY'S TMJ4 to warn of potential spring scams. MILWAUKEE -- April Fools' Day may have come and gone, but that does not mean that you should be letting your guard down for potential scams. Spring is the time of year when many of us are looking to repair things around our homes, find a new job or are more focused on things related to our taxes and social security number. Scammers use this as a perfect opportunity to stop by our house unannounced, posing as a contractor to rip us off. Or, they call us, posing as someone from IRS or social security telling us that they need our social security number or that we are in trouble for back taxes and need to pay up over the phone. And, scammers have also been known to call or message people, posing as a potential employer or friend, with a fake employment opportunity. Some of these schemes can seem so legitimate, but a few warning signs include wanting immediate payment, providing vague information and wanting you to take action on the spot, contacting you out of the blue without you having requested information or services, or with no letters or earlier communication of a problem or opportunity. You can protect yourself from falling victim to one of these scams by slowing down and checking things out before you allow someone into your home. Do not provide information via phone, text, e-mail or messaging until you can contact someone at a legitimate number to be sure that something is not a scam. It might also be a good idea to check things out online to see if others have been scammed. Trust your gut instinct. If it seems too good to be true, it probably is.